AJDS meeting with the Minister of Education at the Quebec National Assembly on February 19th, 2019. Director General – Sidney Benudiz – representing AJDS at the McGill University Education Career Fair on February 4th, 2019. Director General – Sidney Benudiz – representing AJDS at the Université de Montréal Education Career Fair on January 15th, 2019. Patrick Elbaz – Head of Science department at Herzliah High School, being awarded the “Ordre de l’excellence en éducation”. Congratulations to Herzliah High School’s Head of Science department, Patrick Elbaz for receiving the award “Ordre de l’excellence en éducation”. 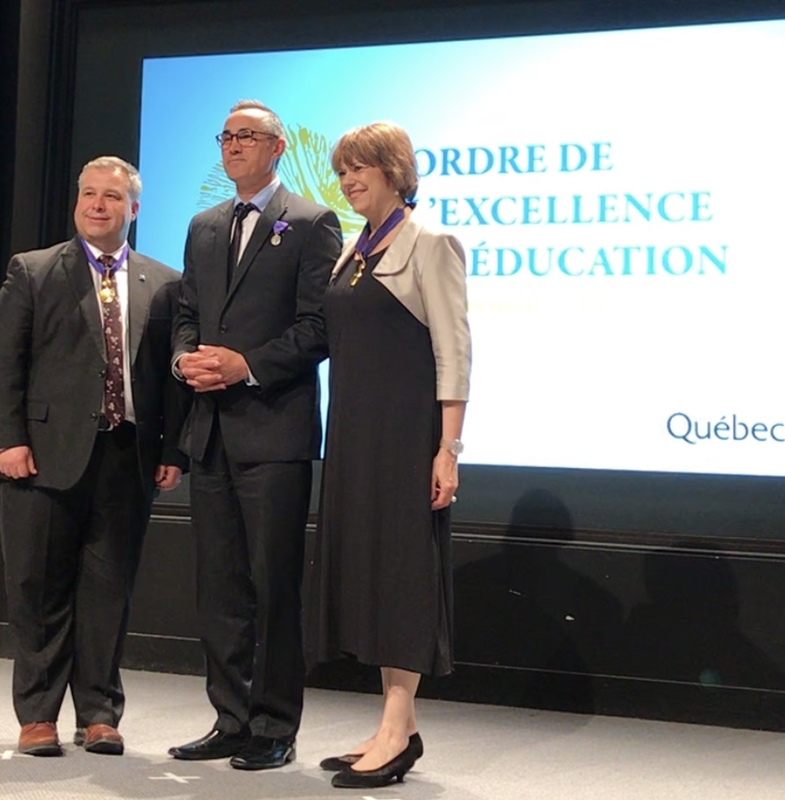 The medal was awarded at a ceremony last June 15th by Mr. Sebastien Proulx (Minister of Education of Quebec) as well as Mrs. Helene David (Minister of higher Education). A well deserved award for Patrick Elbaz for his outstanding work as a Head of Science at Herzliah for many years!